Self Cure Remedy details of Drink licorice root tea for the care and relief of Asthma, including effectiveness and popularity scores of the remedy. Licorice root helps reduce bronchial inflammation as well as lubricate an irritated respiratory tract. 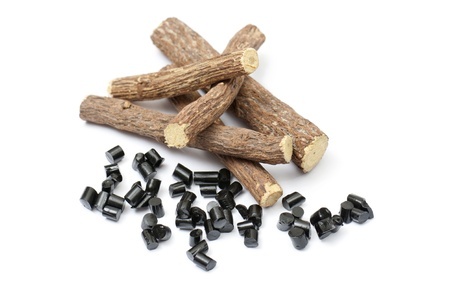 Shred the licorice root into a cup of boiling water. Let the root remain in the boiling water for 10 minutes, and then strain the root by pouring the tea into a mug using a strainer. The self cure remedy of Drink licorice root tea for the care and relief of Asthma has a popularity score of 0 on the self-cure system.